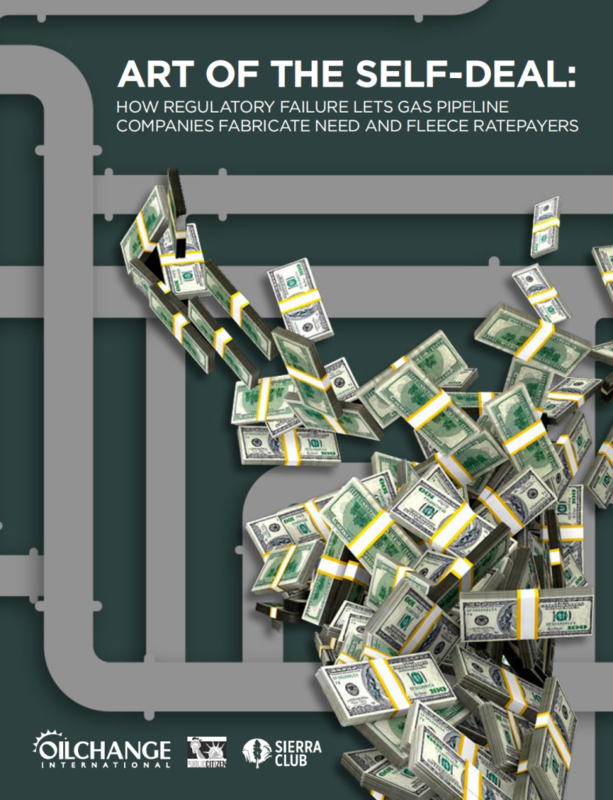 Oil Change International, in collaboration with Public Citizen and the Sierra Club, have released a September 2017 report, Art of the Self-Deal: How Regulatory Failure Lets Gas Pipeline Companies Fabricate Need and Fleece Ratepayers. The report examines how a new wave of gas pipeline construction threatens to shunt serious risks and costs on to utility ratepayers. Utilities and gas companies are increasingly engaged in self-dealing practices to support a dangerous gas pipeline buildout in the Appalachian Basin. Lax oversight from regulators – particularly the Federal Energy Regulatory Commission (FERC) – is enabling companies to manufacture ‘need’ for projects while shifting financial risks from shareholders to ratepayers. Absent effective oversight, ratepayers could end up shouldering long-term costs for pipeline capacity they don’t need, while losing out on opportunities to take advantage of increasingly cheaper, cleaner choices. Case studies of four pipelines illustrate this dynamic: the Atlantic Coast, Mountain Valley, PennEast, and NEXUS projects. As regulators snooze, ratepayers are getting ripped off so pipeline companies can rake in profits – and the climate is getting wrecked. This entry was posted in Dominion, Economy on September 19, 2017 by Ellen Bouton.